The risk of heart attack is higher on Monday than any other day of the week. German researchers observed that the risk of a heart attack is 33 percent higher on Monday than on any other day, possibly because of the stress of starting the work week. Our body always remembers and anticipates stressful events. So, even though the participants in the study were not working, the fact that their bodies anticipated going to work on Monday triggered the identical biochemical stress hormones, increasing the heart attack risk factors that led to potentially lethal ventricular arrhythmias. 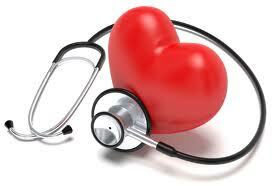 Remember that there is a strong link between stress and heart attack risk factors and cardiovascular disorders. On Sundays, plan a relaxing evening and turn in early so you get a sound night’s rest. Also, avoid rushing to work, highly charged meetings and heavy exercise before midday Monday, all of which can be heart attack risk factors. Plus, do your best to avoid over-scheduling yourself on Mondays, so you can take the day at a more relaxed pace.